General Information: The Santa Rosa plum is generally on the market from the first week of June through the fourth of July weekend. The plums have a purplish crimson skin with the light freckling that's characteristic of all Rosa type plums. The flesh is tart and red at the pit, radiating into sweet yellow flesh near the skin. The combination gives them their classic sweet-tart plum flavor. 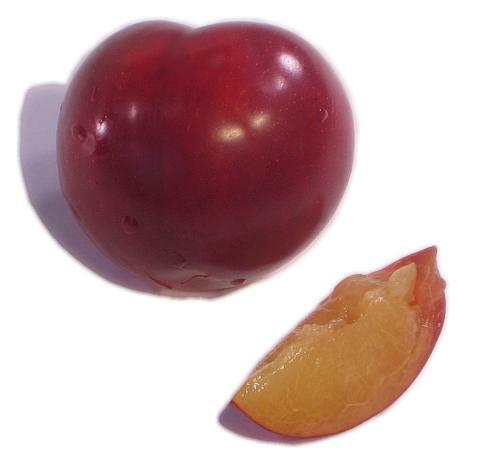 Santa Rosas ranges in size from five to eight plums per pound.